Christian Brothers Racing - Herfindahl Wins Cross-Country Opener. Trout Makes Pro Debut. Herfindahl Wins Cross-Country Opener. Trout Makes Pro Debut. Fertile, MN (January 3, 2018) - The Christian Brothers Racing cross-country tandem of Zach Herfindahl and Ryan Trout kicked off their season at a New Year's Eve weekend event held December 30-31 on Pine Lake near Gonvick, Minnesota. 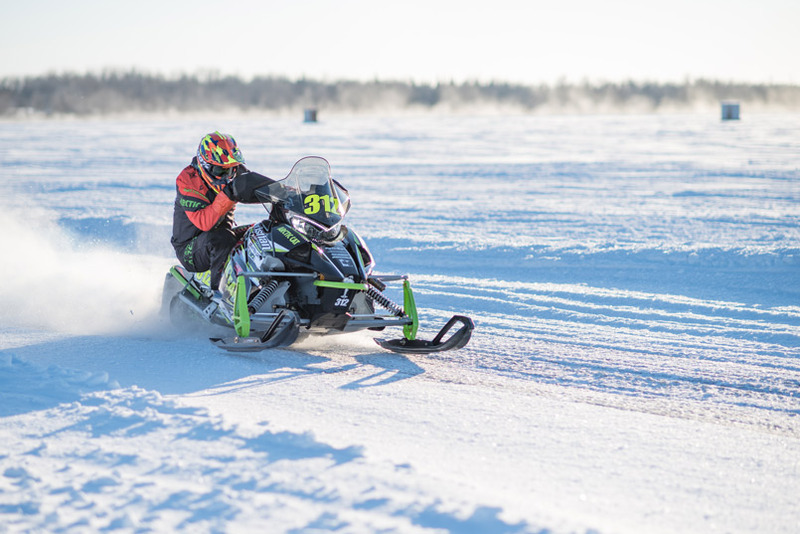 The team not only faced the task of getting their brand new Arctic Cat machines fine-tuned for the ice lemans style event, they also had to deal with below zero temperatures all weekend, with the mercury dipping into the -30 Fahrenheit range Sunday morning. 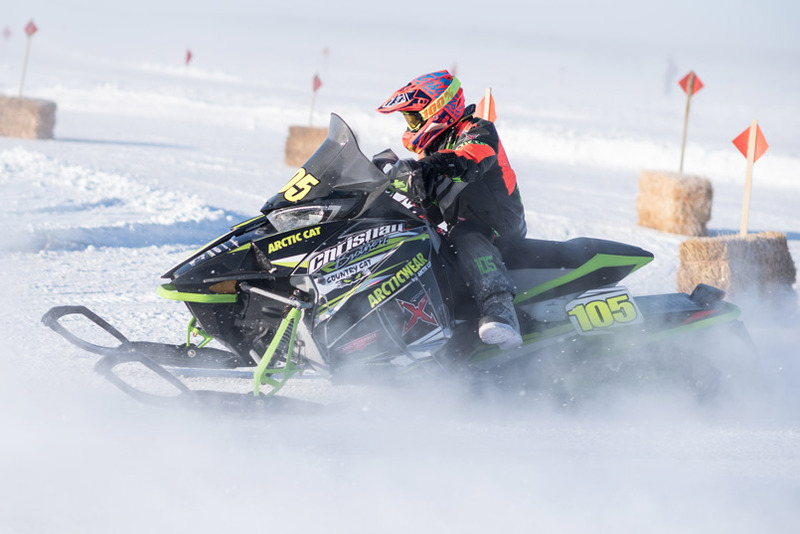 Defending Pro Factory 600 points champion Herfindahl (Arcticwear/Arctic Cat/doc) didn't let the frigid temps slow him down. He proved he is still the rider to beat in the class, winning Sunday's race with a total time of 1:28:23.172, more than four seconds ahead of second place. Herfindahl's Pro Open run on Saturday was hamstrung by a blown belt in qualifying and a race-ending crash in the final. "After the crash and DNF Saturday we knew we had to come back strong Sunday," Herfindahl said. "The race was run off elapsed time instead of heads-up, so we didn't have other riders to go off, but once we got in the groove I was able to start putting in some good laps. It came down to the last lap but we got the win! The team worked hard and its a great start to the season." 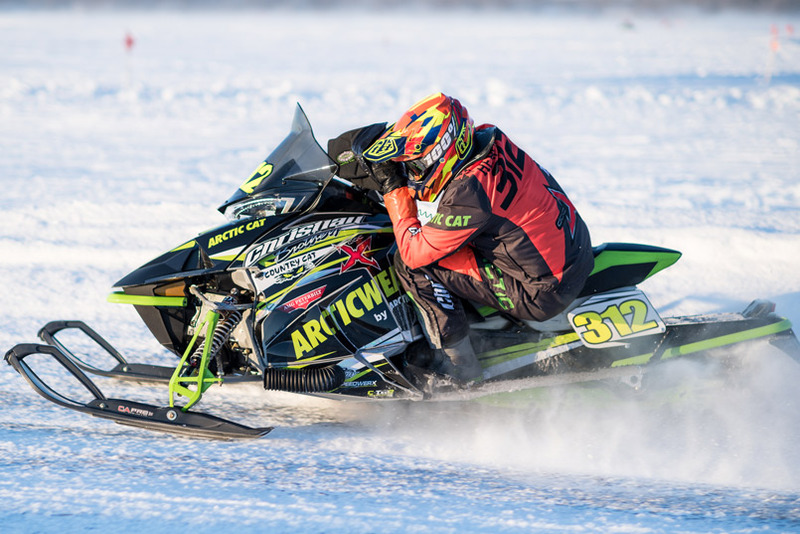 Rookie Pro, Ryan Trout (Arctic Cat/AMG Peterbilt/Country Cat) started his weekend with a 5th place finish in Pro Open, proving he has the skill to run at the pace of veteran pro riders on the circuit. He qualified sixth for the Pro Factory 600 race but ran into some issues in the opening laps that cut into his time. "We battled the weather a little and at the beginning of each race the cold was a factor," Trout said. "You can't give up a second when it comes to ice racing, so it hurt us a little, but I learned a lot. The team worked hard all weekend and we know we can run at a pace that will put us at the front." Next up for the Christian Brothers Racing cross-country team is the Turtle River Rough Rider 100 in Manvel, North Dakota, January 13th. 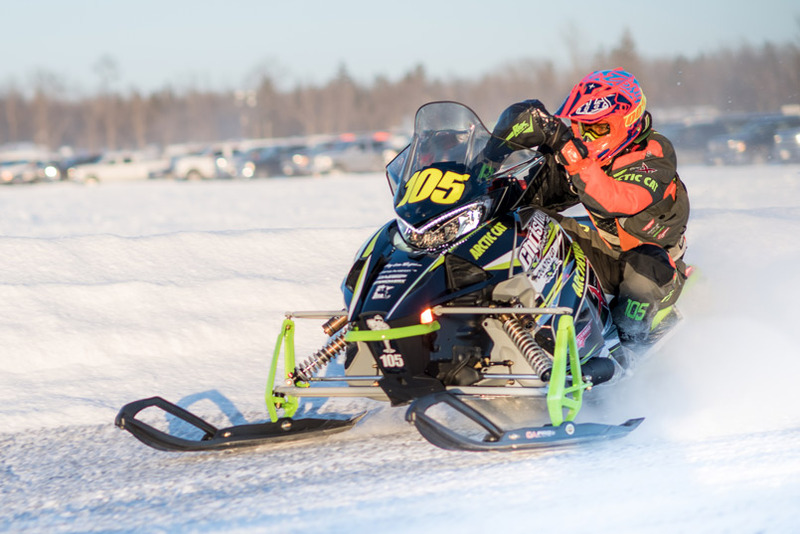 Christian Brothers Racing snocross riders are set to compete at the Canterbury Snocross National in Shakopee, Minnesota, January 5-6.